Do I have to have a consult visit before I can schedule surgery? Dr. Mitchell A. Fremling graduated from the prestigious Washington University School of Medicine in St. Louis, Missouri in 1990. He completed three years of general surgery training and two years of plastic training followed by an additional year as the chief resident/fellow at the Washington University School of Medicine Department of Plastic Surgery at Barnes Hospital. From 1996-1997, Dr. Fremling served as hand fellow for the Department of Orthopedic Surgery at Loma Linda University in California. 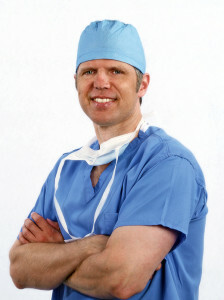 He began private practice in Colorado in 1997 at Alpine Plastic Surgery, P.C. In 2004, he left Alpine Plastic Surgery and formed Restoration Plastic Surgery, P.C. where he continues to practice today. Dr. Fremling is currently board-certified in plastic surgery and board-certified in hand surgery. He is an active member of American Society of Plastic Surgery and a Fellow of the American College of Surgeons. Although Dr. Fremling has extensive training in all aspects of plastic surgery and hand surgery, his current focus is on the surgical treatment and reconstruction of skin cancer and other tumors and lesions of the skin and the surgical management of hand problems. He does not currently offer breast reconstruction or reduction, treatment of facial fractures, chronic wound care, non-operative skin care or cosmetic surgery in his practice. When he is not operating, Dr. Fremling enjoys skiing, biking, golf and spending time with his two daughters. 2015 Copyright &COPY; Restoration Plastic Surgery. All rights reserved. Website by Physician Designs.